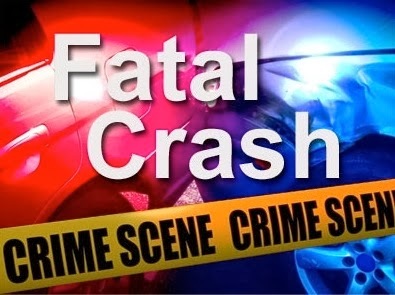 On October 16, 2014 at approximately 1:14 PM the Township of Hamilton Police Department responded to Route 322, the Black Horse Pike, in the area of milepost 42 for a motor vehicle crash. Preliminary investigation determined a 1995 Toyota Camry was traveling westbound on Route 322 and for undetermined reasons lost control of the vehicle. The vehicle left the roadway and overturned and crashed into a tree causing severe damage to the vehicle and trapping the driver. The Township of Hamilton Rescue Squad responded and extricated the driver who was then transported by SouthStar Medical helicopter to AtlantiCare Regional Medical Center City Campus and was later pronounced dead. The identity of the driver is being withheld pending notification to family. The cause of the accident and use of restraint devices remains under investigation by Ofc. Wade Smith and Ofc. Kevin Zippilli of the Township of Hamilton Police Department. Route 322 was closed in both directions for approximately one and a half hours while the scene was cleared and investigated. Also assisting at the scene were the Mizpah and Weymouth Volunteer Fire Departments, Township of Hamilton Dive Team, AtlantiCare Paramedics, New Jersey State Police, and the New Jersey Department of Transportation.